This week David picks up the training pace. The good weather last weekend and the increasing lighter evenings means there’s more opportunities than ever to start your training programme for the Mulberry Bush Montessori Balfron 10k. As I said last week, if you haven’t started running yet but keep meaning to start, it’s time to ditch the excuses and get moving. 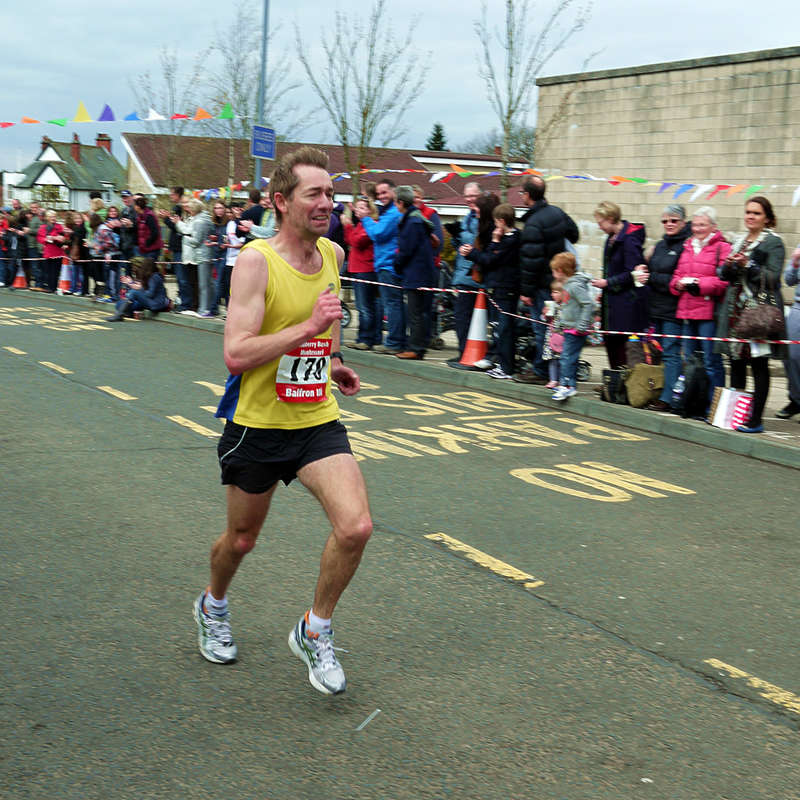 Having read in last week’s Observer sports pages of the great achievements of local athletes it made me realise how much the Balfron 10k has done to support and encourage sport and exercise in the local area over the last ten years. 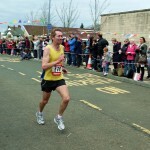 The Balfron 10k has also helped the general fitness of the locals too. To support the event and encourage runners to train in a supportive atmosphere, a Wednesday night group was set up at Balfron High School at 8pm. Although training is geared towards those wanting to run the village 10k or any other race for that matter, it goes on throughout the year, hail or shine (usually hail!). This session is open to any runner, whatever your level. All you need is some warm running gear as the Balfron AstroTurf pitches are always cold, trainers, £2 towards the cost of the floodlights, and some energy. This week’s training aim is to start introducing some variation in the speed and distances you are running. This will help progress your fitness in preparation for the 10k but also to give some variety to your training. Your training will get harder but can be fun if done with a group. I aim to do three main sessions a week that are different in length, speed and intensity. The long steady run often done on a Sunday if your routine allows. This can be three-six miles or 40 minutes to an hour at first. The length can be increased gradually. The second session, for example, could be a comfortable but hard steady pace over three miles or 20 to 30 minutes running. The third is an interval session that involves repeated efforts that can vary from 30 seconds to five minutes in duration. These are best done with companion if possible on an even but forgiving surface. An example session would be six x three minutes with a two-minute walk jog recovery or my favourite: five, four, three, two, one minute hard running with half the running time to recover. This is just a short guide to training ideas. Have a try but make sure you warm up well and gradually ease into some of the faster running especially if you are new to running or to this type of training. On the other days you can do an easy short run, cross train or take a rest day or two. Good luck and enjoy your running.